On Sunday, May 5, 2019, access in and out of the hotel parking lot will be limited due to the Omnium Bike Criterium. Please access the parking lot via Main Street during this time. 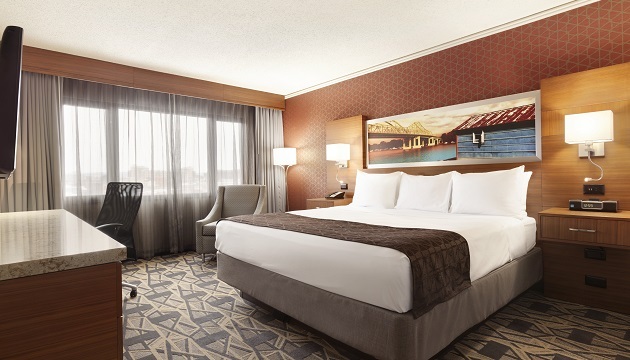 Conveniently located adjacent to the La Crosse Center and within walking distance of Riverside Park, Radisson Hotel La Crosse welcomes you to Wisconsin! Enjoy a picturesque stroll along the Mississippi River, just steps from our hotel, or plan a scenic trip along the river with La Crosse Queen Cruises. Our pet-friendly hotel also offers easy access to nearby local restaurants, charming shops and a lively downtown nightlife. When you’re ready to head home, simplify your travel plans with our shuttle service to the nearby Amtrak depot and La Crosse Regional Airport (LSE). If you're in town for work, book a Business Class Room to take advantage of special perks designed to keep you focused throughout the day and help you unwind in the evening. 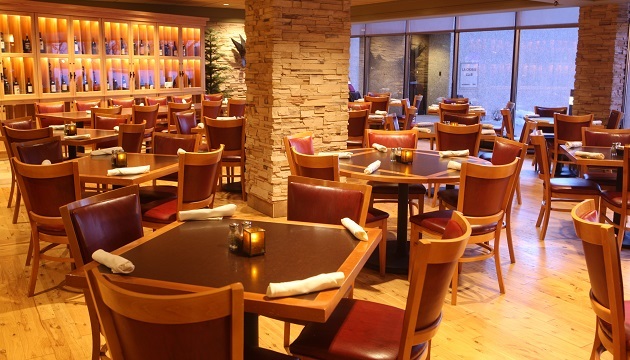 Enjoy a delicious meal and panoramic views of the Mississippi River in the lodge-inspired setting of our on-site restaurant, TRL. TRL offers made-from-scratch desserts and a seasonal menu for breakfast, lunch and dinner. The restaurant also features a full-service bar with fine wines, microbrews and handcrafted cocktails. La Crosse Queen Cruises – Less than a half-mile walk from the hotel, the La Crosse Queen lets you step back in time and experience a leisurely cruise on a Mississippi riverboat replica. Be on the lookout for soaring eagles and other wildlife as your tour guide regales you with regional facts and trivia. Dahl Auto Museum – An auto-enthusiast’s dream, this local museum is located less than a mile south of the Radisson. Wander through a gorgeous collection of Ford automobiles, ranging from restored classics to present-day showpieces. Grandad Bluff – Rising 580 feet above La Crosse, this popular mesa offers visitors a view that extends into Wisconsin, Minnesota and Iowa. The spectacular sights are well worth the 16-minute drive from our hotel. Featuring 11,500 square feet of versatile meeting space, Radisson Hotel La Crosse provides an ideal venue for your upcoming business event or social gathering. Our dedicated event staff and on-site services allow you to host a stunning wedding reception in our elegant ballroom or hold a critical team meeting in the privacy of our smaller meeting rooms.